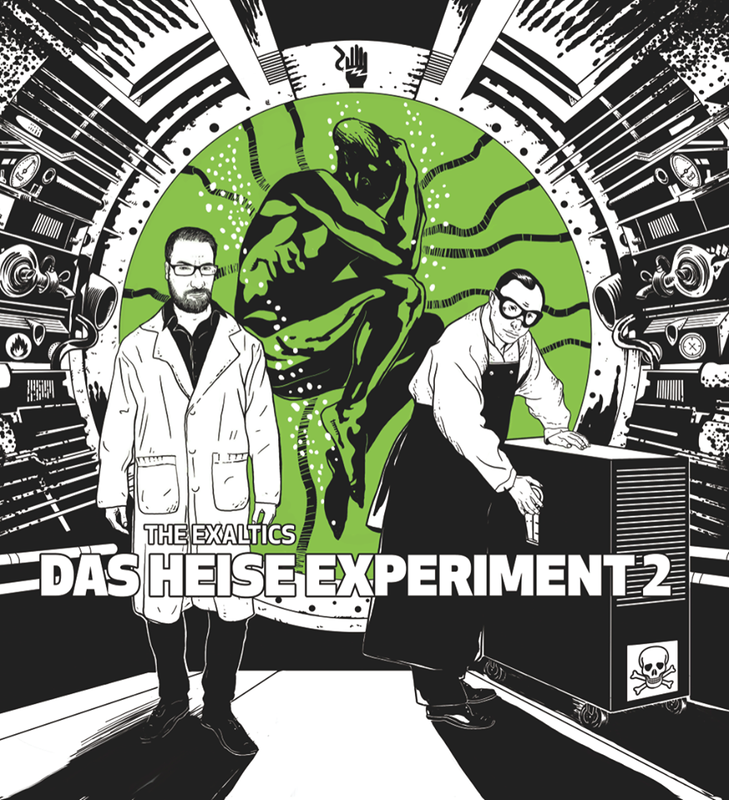 There will be a new Heinrich Mueller (as Rudolf Klorzeiger) collaborative track on the upcoming album by The Exaltics, Das Heise Experiment 2, on SolarOneMusic. You can listen to samples of all its tracks at this Clone link. The current date for release is 26th February. 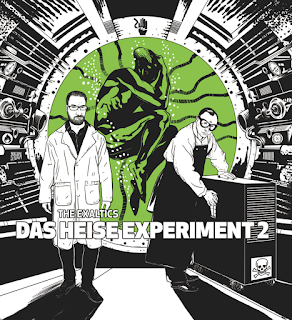 The re-press of the Lab Rat XL album, Mice or Cyborg is now shipping from Bleep, Clone shop, Juno etc. It's not everyday you discover a new Drexciya track! On the CD and cassette of Underground Resistance's Interstellar Fugitives (1998) there is one more track that even I was not aware of, 'Interstellar Crime Report'. 'Aquatacizem' is their other, better known, contribution to the triple vinyl version. You can listen to it here on YouTube. There is always something new to find out about Drexciya! I learned this thanks to longtime Drexciya fan Andrea Parker and her great EPM mix of 2014. Paris on 23rd February and 8th May in Lyon, France. In case I've missd one, you can always check out some of their upcoming shows here on Resident Advisor. This is a really interesting interview with DJ Stingray from 2017 about his early days DJing in a biker bar in Detroit, starting his Urban Tribe project and getting to know Drexciya and more. In this great new video Helena Hauff includes one of Drexciya's real obscurities in her choice of B-Sides. She mentions them from 4min 25sec but the whole video is well worth watching, it made me want to start digging deep into my own vinyl collection again. She also briefly talks about James Stinson in this more spooky video from last year at 2min 45sec. In this edition of Boiler Room Collections, Ed of DMX Krew picks Gerald Donald's Glass Domain 12" from 1991 as an early electro influence. At the 1hr 15min 36sec mark he explains how he found out about Drexciya and went to London's Fat Cat Record shop where he bumped into Mike Paradinas who made some recommendations and suggested this record. It's interesting to learn that right from their very first release Drexciya found an audience in the UK (and beyond) and that even Donald's first solo record was being imported into the UK. If you have the time the whole programme is well worth watching. If you don't already, you will love DMX Krew! This is a special 313CTRO mix dedicated to the memory of James Stinson by DJ Psycho of Detroit Techno Militia from 2014.